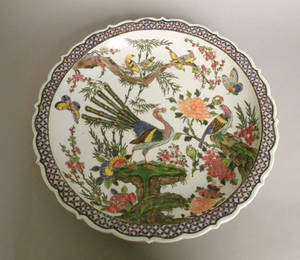 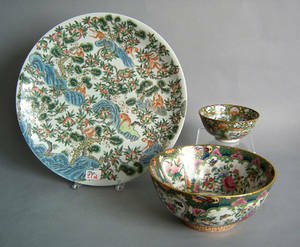 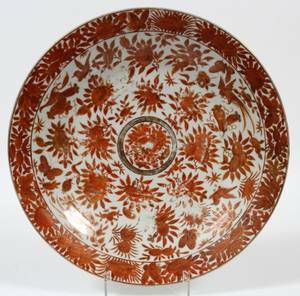 Chinese export porcelain charger, 20th c. , 16 3/4" dia., together with 2 rose medallion bowls. 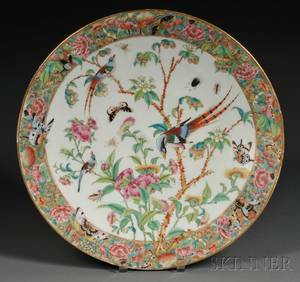 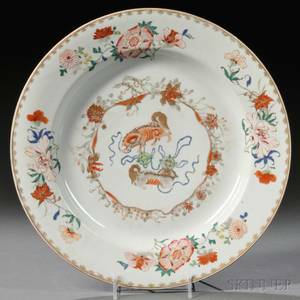 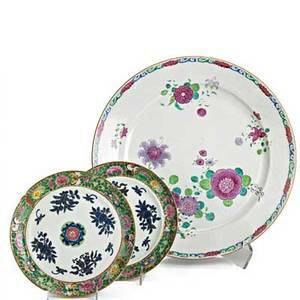 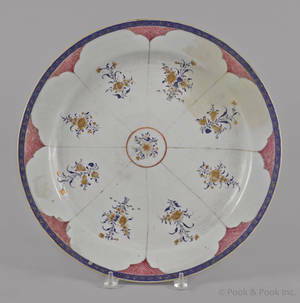 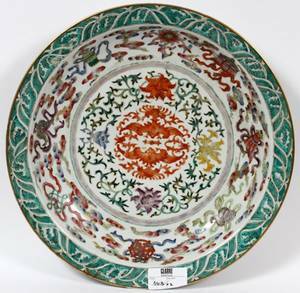 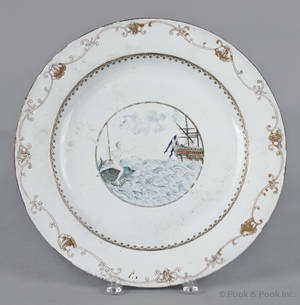 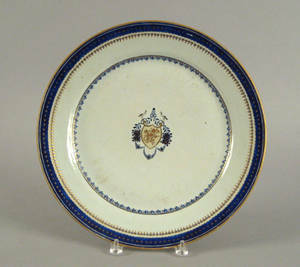 Chinese export porcelain; charger and two plates with famille rose decoration, early 19th c.; charger: 15" dia. 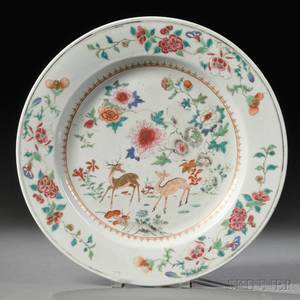 CHINESE EXPORT PORCELAIN CHARGER 18TH C.
Important Chinese export porcelain charger, mid 18th c.